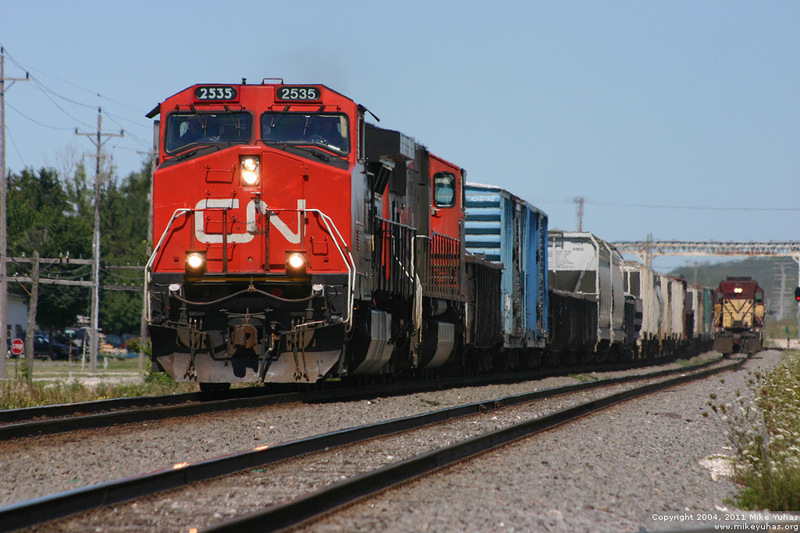 Meet at Duplainville: Here's CN train 348 blasting southbound on the main. At the north end of Duplainville siding, L512's power, a lone SD45, awaits 348 to clear before heading north. This all took place in the town of Lisbon, Wisconsin.